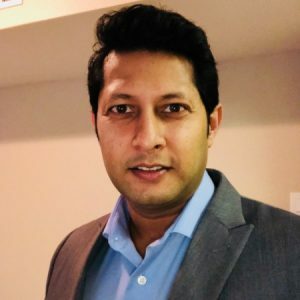 STEM For Kids is coming to the Texas Grapevine-Irving area thanks to a merchant marine officer and entrepreneur, Rahul Apte. Rahul has sailed across the oceans and has worked in the central control rooms of ultra deep semi-submersible rigs, maintaining their position over the ocean floor using computer controlled thrusters! It was clear to Rahul that what his children needed was something that can challenge their brains more. “As much as I want to see them grow, I also want the best education for them”, he said. Determined, he looked around, did not find any programs and so, he decided to check online to find a program which was already tried and tested. He came across STEM for kids and after his detailed research, decided to franchise and bring the highly acclaimed STEM programs to his children and to his community. “Rahul and I talked for the first time when he was somewhere in the middle of the Atlantic Ocean. His background in energy exploration and deep sea drilling coupled with his contagious enthusiasm for bringing STEM to children are blessings for the community. We wish him the best as he creates wonderful learning opportunities for preK, elementary and middle school students”, said Moni Singh, the creator of STEM For Kids. “I love the fact I can give something back to our future, “our kids””, says Rahul. Learn about the programs being offered at Grapevine-Irving or request programs at your site by visiting stemforkids.net/t/txgrapevine or email txgrapevine@stemforkids.net.